That day (some weeks back in November**) I was busy with my new PHP mission – a Prestashop-based project for a client (NeoPost.com) – yep I’m the (new) sole PHP guy behind Neopost France & Neopost Benelux since the last 6months. I was very motivated and was peacefully focusing on my task. I’m in joy whenever I code with PHP because it’s my passion. But suddenly the phone started ringing. My colleague took it and after a few seconds, he was waving towards me; the phone was mine. I got up, walked a few steps and took the phone. “Hello Wasseem, sorry to disturb you, urm we have received a parcel addressed to your name and it appears to be from overseas..” At that moment my heart started beating, beating and beating as I was whispering to myself: “could it be that Joe Stagner‘s gift has reached me! ?” And there goes my heart beat again. I rushed to fetch my parcel at the reception.. I Felt Out Of This World – My Heart Felt So Dammm Good! 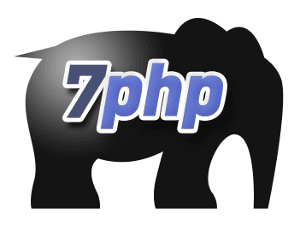 Aaannnd The Green Zend elePHPant Has Finally Come To 7PHP! The rest was just PHPagical moments! I took my new PHP friend and best PHP friend ever for a ride around the company where I worked. My friends and colleagues were all curious with what they saw in my hand. I took much pleasure and happiness showing around The PHP Mascot – it was like I won The Golden Gift (recognition?) ever! So for that I am very much thankful to Mr Joe Stagner of Zend Inc; Sir You made my day, my year and my PHPlife has a new meaning – The elePHPant way of living!